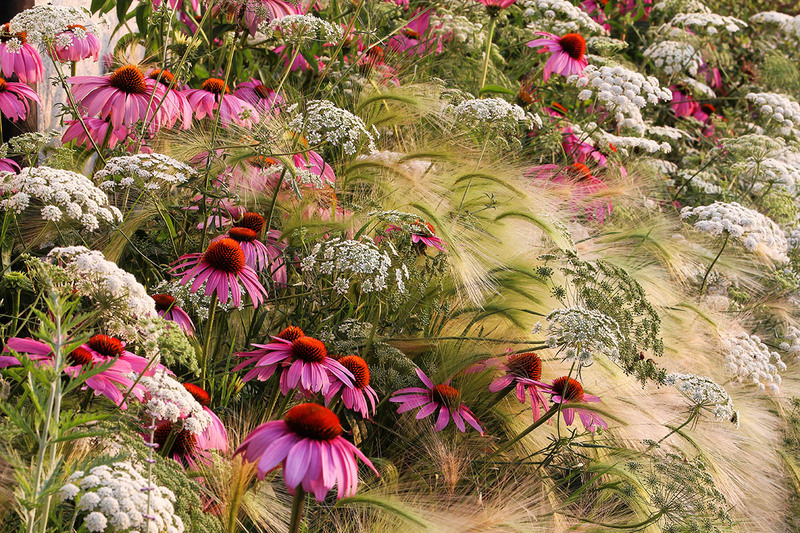 The winner of the International Garden Photographer of the Year - Competition 7 - is Rosanna Castrini with 'My Prairie Garden'. We all love single plant portraits - but it is much more difficult to make a successful picture of many plants together in association. To me, this picture is as close to perfection as you can get. I love the contrasting shapes and textures of the three types of flower. All the plants are in perfect condition. The photographer has recognised a very skilful piece of planting and has made a straightforward rendering of it, in lovely light and with no tricks.